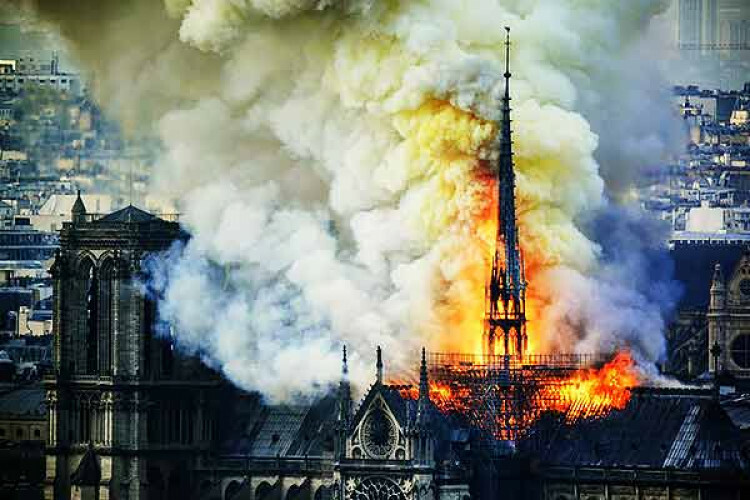 The 3 richest families of France-LVMH group, Kering & L'Oreal pledged a combined$565 million; lead a fundraising drive to rebuild the Notre Dame & has raised $700 million. The 3 fashion empires invoked patriotism & shared cultural identity in displaying their generosity towards the tragic fire. Besides, the oil & gas company (TOT) gives $113 million and the IT firm Capgemini will give $1.1 million.